Many years ago Alan McLoughlin scored a goal on a night in November that meant an awful lot to an awful lot of people as Jack’s Army celebrated a second coming on the biggest soccer stage of them all. It was, of course, the Windsor Park goal that sent Ireland all the way to the 1994 World Cup finals and that never to be forgotten day against Italy at the Giants Stadium in New Jersey. A week or so after he silenced the Windsor Park boo boys and sent the Green Army to Manhattan, McLoughlin was in Dublin for the sort of earner so beloved of our leader Jack Charlton. Alan, then with Portsmouth, got a few hundred Irish pounds to open a shop on Fairview Strand in Dublin, and he was delighted to get it. At a time when his 15 minutes of fame was approaching the 15th minute, he was thrilled to earn as much in a day in Dublin as he did in a week with Portsmouth. He was also -- and this is important -- delighted to get the chance to share the glory of that Belfast goal with real football fans in a city he only knew through the parentage rule. Like so many of his peers, McLoughlin was a proud Irish footballer who never lost touch with the common man or the ordinary fan, mostly because he qualified on both counts himself. So did most of the team that Jack built. With the odd exception, very odd in some cases, they were all decent men who wore the green shirt in those days, men who knew the value of a pound and how hard the ordinary man had to work to earn it. That’s why the Irish soccer team was the team of the people from ’88 to ’94 as we tripped the light fantastic with Charlton. By 2002 the link with normality was disappearing, not helped by one player’s obsession with big seats on airplanes and five star comforts away from home. Today the link is lost forever. Ireland played Northern Ireland on Tuesday night, just hours after this column was written. On Monday, at a golf function in the wonderful Killeen Castle that will host the Solheim Cup in September, I asked my three playing partners if they were going to the Ireland match. Only one of them knew what I was talking about -- and he had to think about it. The same man had been in Cardiff on Saturday when 20,000 Leinster fans cheered their team from the jaws of defeat to the greatest victory in their province’s history. The sights at the Millennium Stadium as the 12 counties of Leinster celebrated a most incredible win were so similar to the sights and sounds of the Charlton era, only the color of the flags and jerseys was different. The Leinster and Munster rugby teams still connect with their fans. The Irish soccer team have long lost touch with the common man. That’s why the likes of Anthony Stokes thinks he can withdraw from an Ireland game because he’s tired, as he did on Saturday night. That’s why James McCarthy thinks he can get away with ignoring a call–up to the squad for the forthcoming games against Northern Ireland, Scotland, Macedonia and Italy. That’s why Stephen Ireland behaved as he did when he tried to bury his two grannies, but succeeded only in burying any respect we may have had for him. The majority of the current Ireland squad do care for their country and will continue to turn up through thick and thin, but unfortunately they have been tarred by the Stephen Ireland-James McCarthy-Anthony Stokes brush. That’s why not many people here at home care anymore if we qualify for the European Championships or not. That’s why people weren’t even aware that Ireland were playing 24 hours later when I asked the question on Monday night. The game of the people has lost touch with the people and it may never be the same again as long as Messrs Ireland, McCarthy and Stokes put themselves before their country. SOCCER: The regular reader in the Bronx will know the pitfalls encountered by journalists who deal with Giovanni Trapattoni’s use of the English language on a regular basis. On Monday, Trap was at it again when he discussed the absence of a huge number of players for Tuesday’s Carling Nations Cup match against Northern Ireland. Unsure as to exactly who was going to be available to play, Trap said, “Just like the Irish waiter, it is unpredictable.” The penny eventually dropped -- he meant it is as unpredictable as the Irish weather! RUGBY: Jonathon Sexton emerged as an Ireland captain in waiting on Saturday when he delivered the halftime speech that inspired the most incredible comeback in the history of Irish rugby. Sexton used Liverpool’s 2005 European Cup final revival as his inspiration, and his words were wisely chosen. Considering the likes of Brian O’Driscoll and Gordon D’Arcy were hanging on his every word, it really was the changing of the guard. GAA: The Meath camp is in disarray after the return of the 38-year-old Graham Geraghty and the resignation of selectors Liam Harnan and Barry Callaghan, and that’s bad news for Kildare. A Meath team in disarray is the last thing Kildare will want to meet in Croke Park on Sunday. Such a crisis always brings out the best in the Royals so many another Leinster title is possible for Banty’s Boys after all. SOCCER: Words can’t describe the drama in the final 20 minutes of the Premier League season on Sunday as Birmingham and Blackpool joined West Ham in the Championship next season but I have to congratulate Mick McCarthy on keeping Wolves up, even if it was by the skin of their teeth. He deserved it. THE Leinster rugby team were dead and buried when they trailed Northampton by 22 points to just six at halftime in Saturday’s Heineken Cup final. Or so we thought. Inspired by the words of Sexton in the halftime dressing room and the actions of Eoin Reddan, when he hit the ground running at the start of the second half, they were like men possessed as they orchestrated the most incredible comeback ever witnessed in European club rugby. It was brilliant. 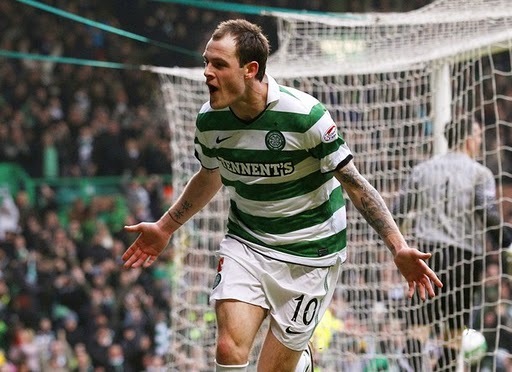 ANTHONY Stokes pulled out of the Irish squad on Saturday night because he’s tired after a long hard season with Celtic. That’s the same Anthony Stokes who has played 38 times for the Bhoys this season, including nine times as a sub and earned well over $2 million in the process. All his country wanted was another two weeks of his valuable time to get us through the Carling Nations Cup games against Northern Ireland and Scotland, the Euro qualifier in Macedonia and the friendly against Italy, but Stokes is too tired for his country. Sometimes you have to wonder if some of the Irish players really care about their national team any more, or are they all Stephen Irelands?